The world we are living in is changing rapidly and it is becoming more crucial to stay on top of new trends. 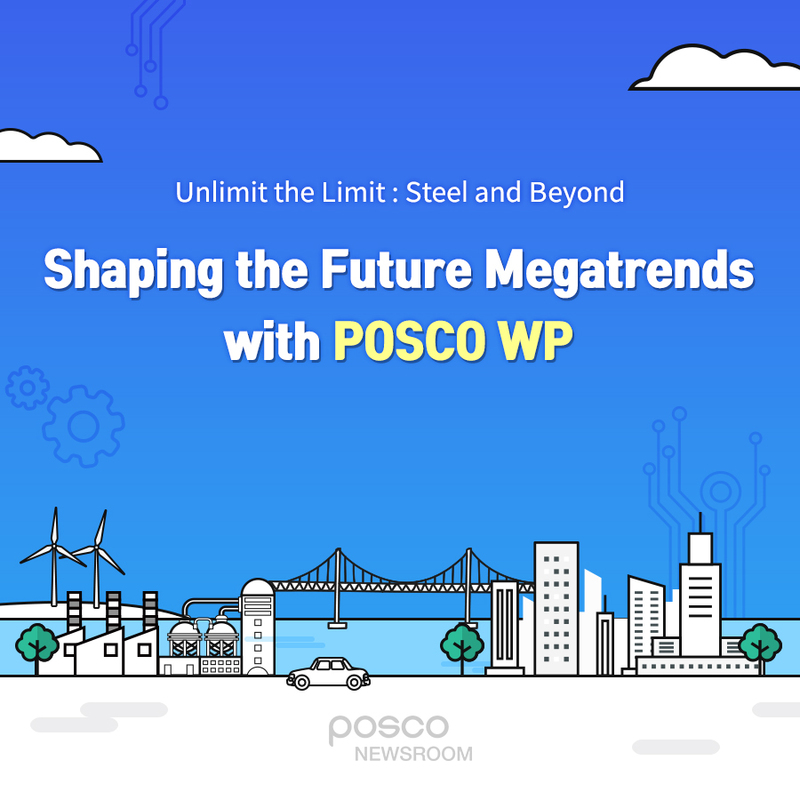 As POSCO celebrates 50th anniversary this year, it takes a closer look at the 4 megatrends that will shape the world for the next 50 years. It will not be long until electric vehicles become popular means of transportation. 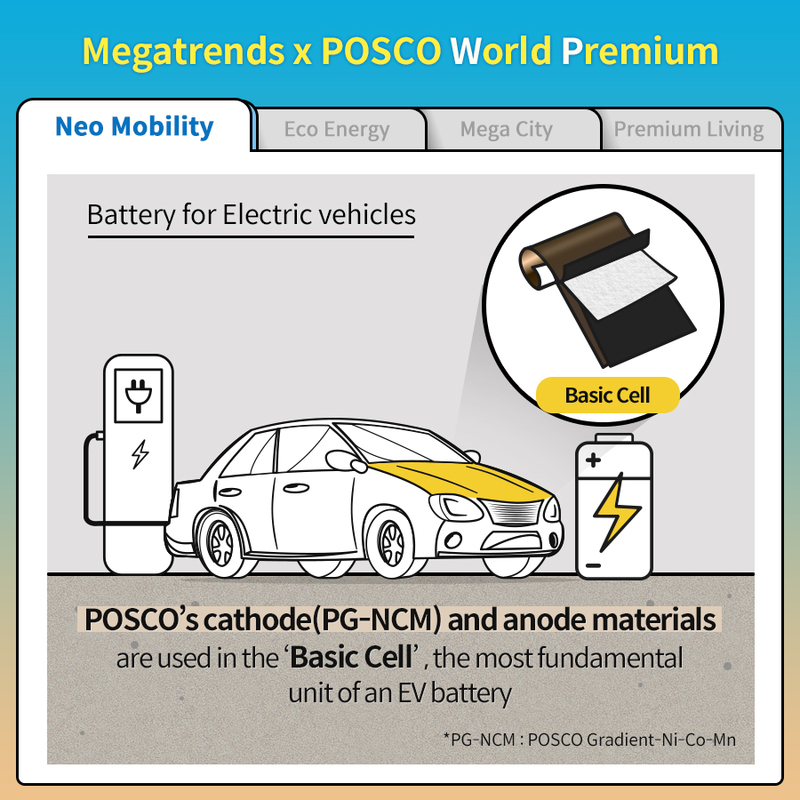 POSCO, which makes the cathode and anode materials used in batteries for electric vehicles, is ready to support this new mobility trend: “POSCO ESM”, a POSCO affiliate, produces high quality cathode material, “PG-NCM(POSCO Gradient-Ni-Co-Mn)” and “POSCO CHEMTECH”, another affiliate of POSCO, is currently the only anode manufacturing company in Korea. 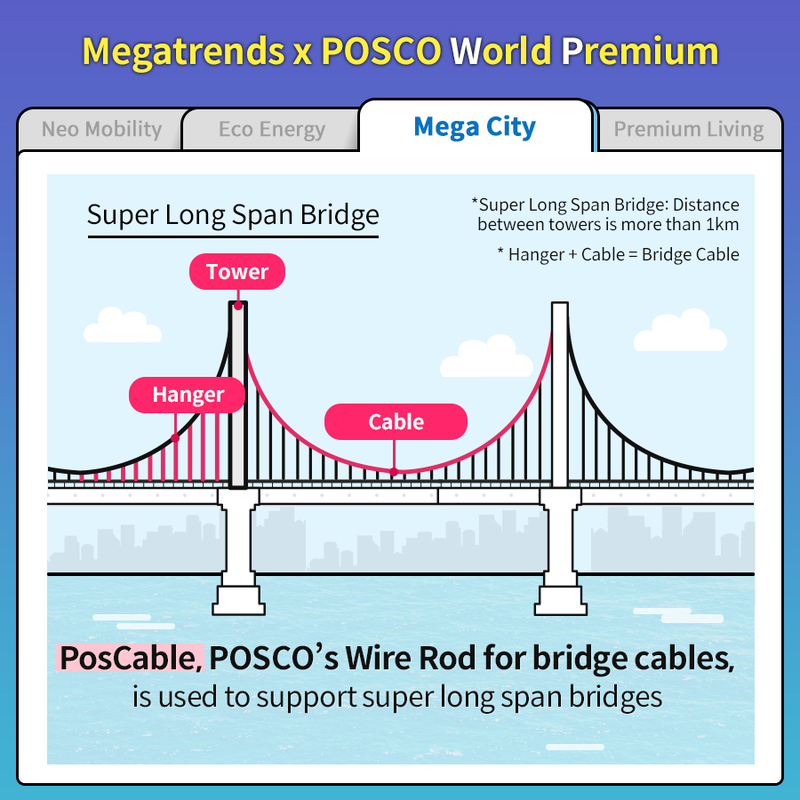 POSCO is at the heart of the future cities made of long span bridges, skyscrapers and modular houses. A “super long span bridge” is classified as such when the distance between towers is greater than 1km. The cables that connect the towers and the hangers that support these cables need to be made with stronger steel materials. PosCable (“POSCO wire for Cable”) is steel made with multiple thin wires, each thinner than a drinking straw but strong enough to hold a 4.5 ton truck. 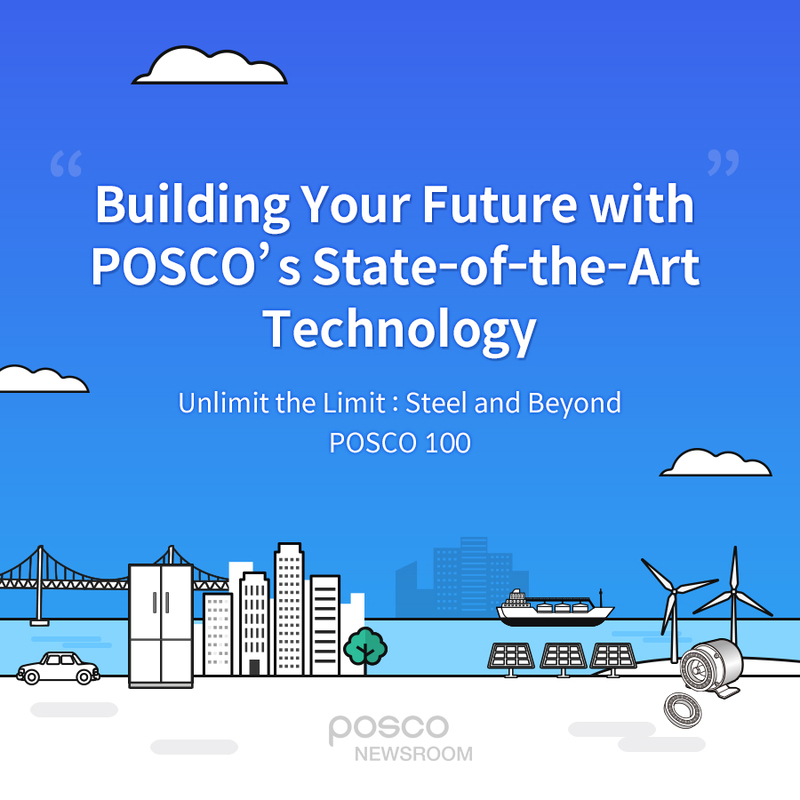 POSCO dreams of creating an “Energy Island” where renewable energy is generated by eco-friendly materials only. Among the various methods of producing clean energy, wind power has been the preferred method due to its low cost. Even wind turbines used to generate wind power can vary in terms of life span and efficiency depending on the material used. 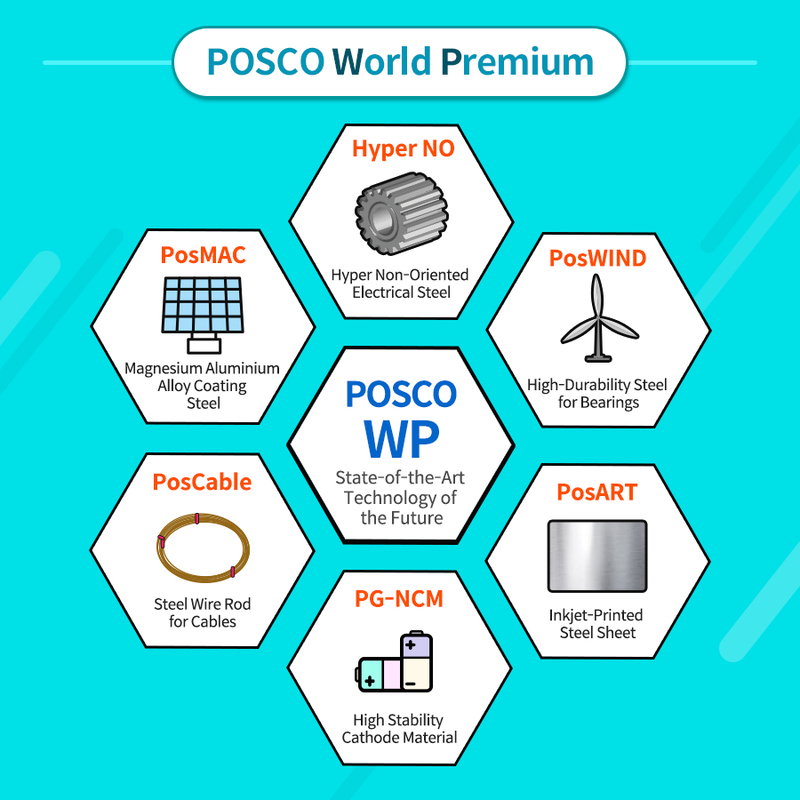 Using Hyper NO, POSCO’s premium Hyper Non-oriented Electrical steel can dramatically increase the efficiency of the wind tower. 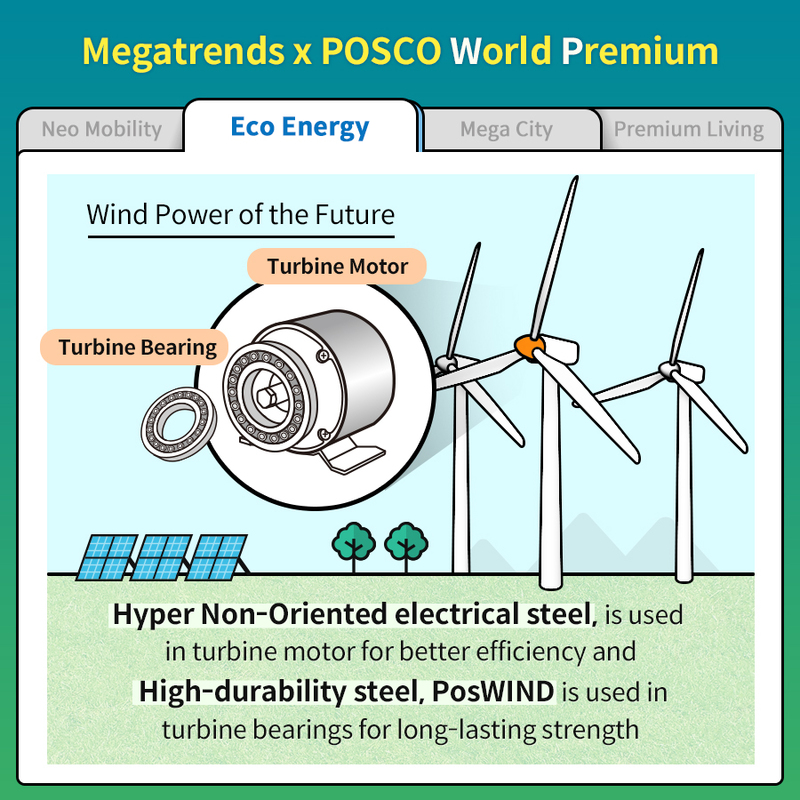 Also, applying PosWIND (“POSCO Windpower”) to turbine bearings can increase durability. POSCO World Premium Products also permeate our homes. 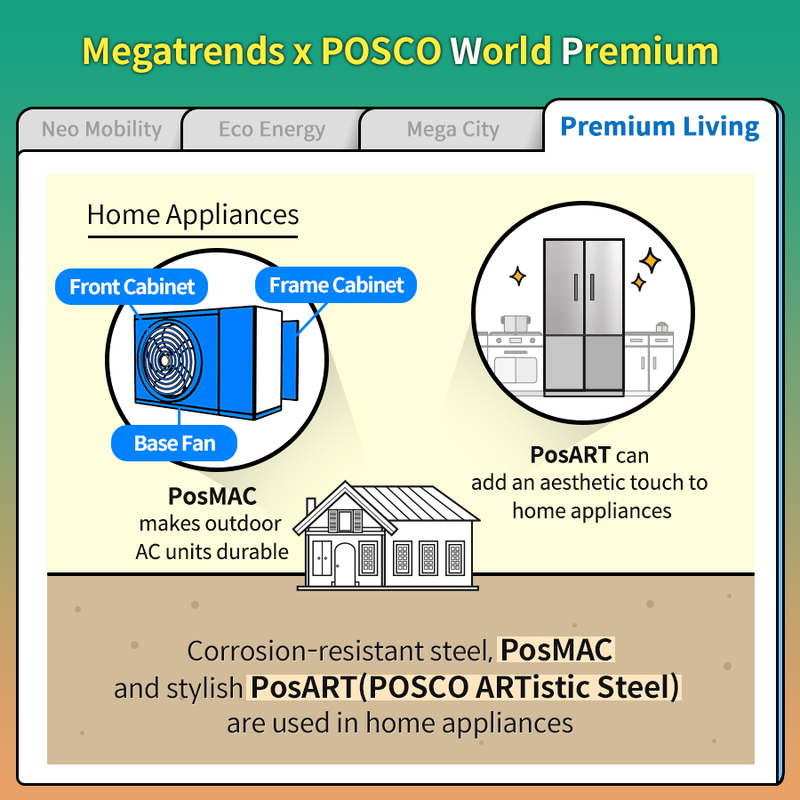 “PosMAC”, POSCO Magnesium Aluminium alloy Coating product, is used on outdoor air-conditioning units to protect against external influences including dust, water and heat. Also, POSCO’s surface-treated steel sheets enable stylish designs on home appliances. PosART(“POSCO ARTistic Steel”) enables full-color printing on steel with resolution 4 times higher than original steel sheets, to overcome design limitations for home appliances. 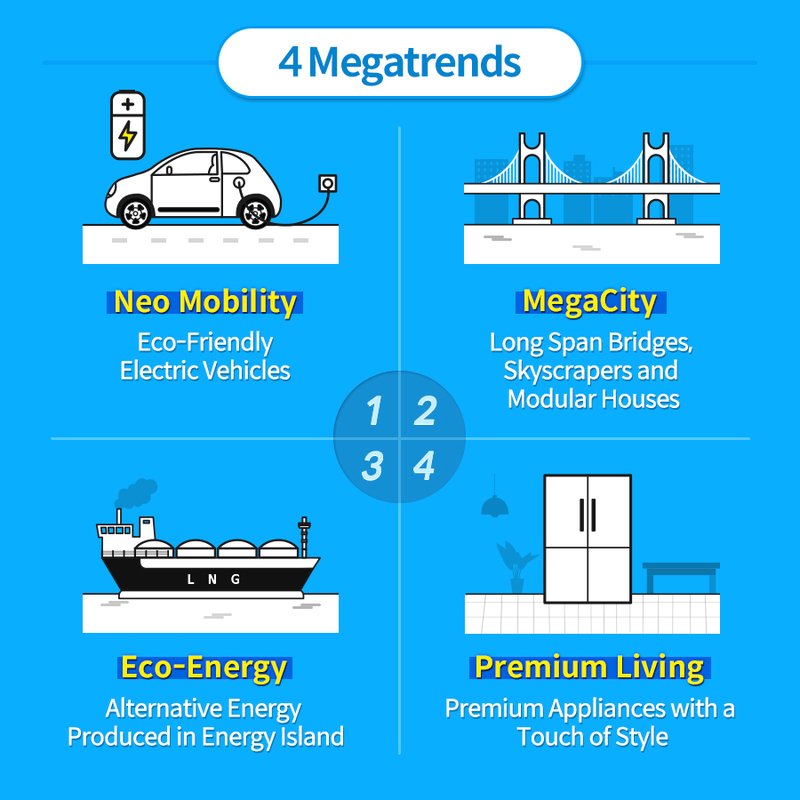 See how POSCO’s state-of-the-art technology is powering the megatrends of the future in the card news here.